College of the Rockies’ Avalanche men’s and women’s teams look forward to hosting, and competing in, the PACWEST Championship February 21 to 23. College of the Rockies Avalanche volleyball teams are preparing to not only compete, but host, the 2019 PACWEST Volleyball Championship February 21 to 23. 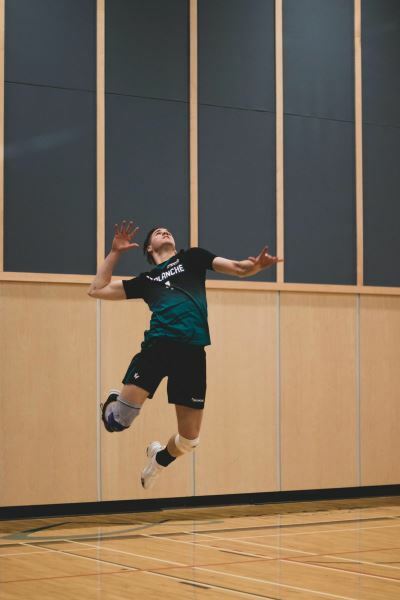 The PACWEST Volleyball Championship sees the top six men’s and women’s teams vying for the provincial title. The Avalanche men’s team clinched fifth spot while the women’s team earned their sixth spot position this past weekend. Teams will be facing-off for an opportunity to advance to the Canadian Collegiate Athletic Association (CCAA) National Championship, being held at Niagara College in Ontario (women) and at Red Deer College in Alberta (men) from March 7 to 9. The Avalanche last hosted the PACWEST Volleyball Championships in 2013. Advance tickets for the PACWEST Championships are available at the College’s gym office or by calling 250-489-2751 and choosing extension 3556 or 3572. Learn more about College of the Rockies’ Avalanche volleyball program. For more than 40 years, College of the Rockies has provided post-secondary education that meets the needs and aspirations of the people, industry and businesses of our region. Each year, we welcome more than 2,300 full-time equivalent students into a full range of programs, including: skilled trades, university studies, adult upgrading, early childhood education, health and human services, business, office administration, tourism, hospitality, recreation, fire services, continuing education and contract training. Through smaller class sizes, highly-personalized instruction and dedicated support services, our students are primed to succeed in the job market, or in the next stage of their academic journey.